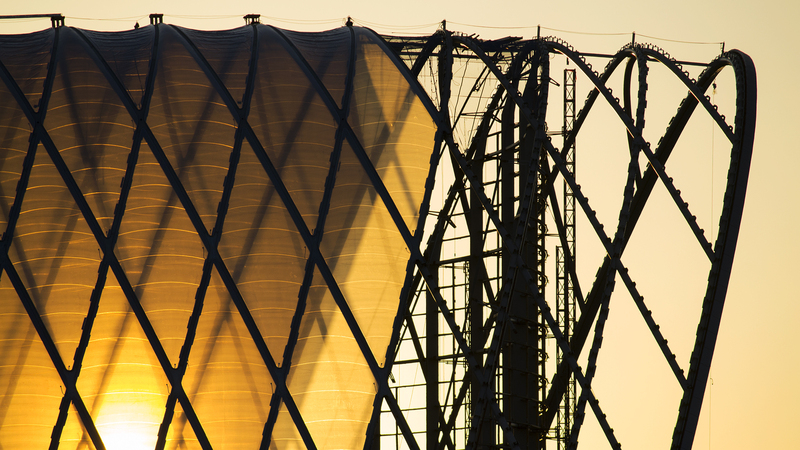 A mix of translucent panels and an exposed iron rod framework, the Anaheim ARTIC is viewed at sunset on May 28, 2014. 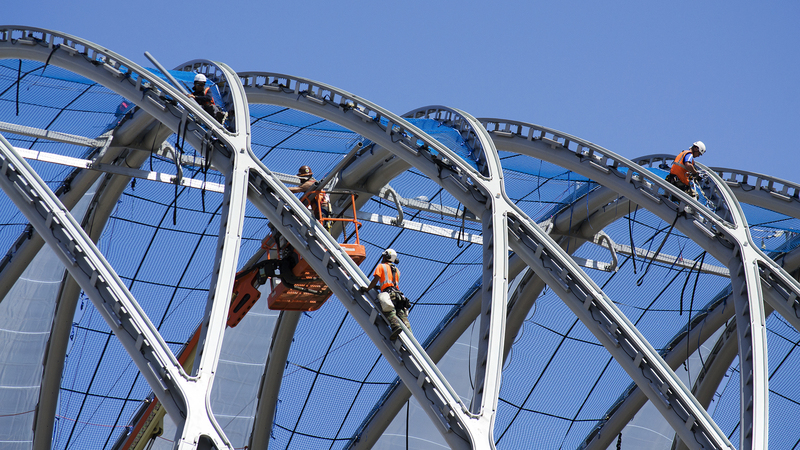 A mix of translucent polymer panels and exposed steel framework now, Anaheim’s future transportation hub is six months away from completion. In recent months, the future 67,000-square-foot transit center has bloomed into a nearly 180-foot-tall conch shell-shaped building that has caught the attention of many motorists passing by it on the 57 Freeway. Expected to be finished late this year, the ARTIC, which will be formally named the Anaheim Regional Transportation Intermodal Center, will be a hub for buses and AMTRAK and Metrolink trains. Through a proposed Anaheim Rapid Connection streetcar project, the hub will also connect businessmen and tourists to Disneyland and other Anaheim attractions. Construction is expected to be completed around December 2014, according to Clark Construction Group, which is overseeing the $180 million project. Much of the interior of the terminal has yet to be built and furnished. Photos and text by Tim Worden. Construction crews work on the Anaheim ARTIC in May 2014. Previous Post Isla Vista shooting resurfaces old debates about gun control, mental health and … the media?